In July of 1955, there was an audition for cimbalom band members announced in Myjava. The role of the bandleader was offered to one of the most respected musicians of the region, Jožka Kubík from Hrubá Vrbka. 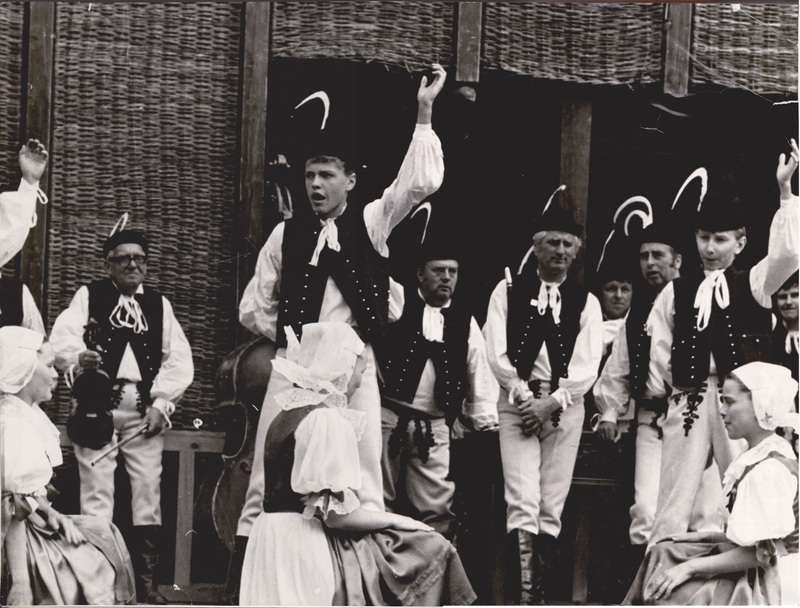 In the same month, the very first performance of the newly formed folk band took place under his leadership. 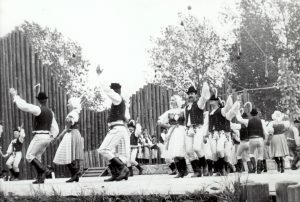 The staff of Slovenská armatúrka Myjava company, who had already danced in the Kýčer folklore ensemble from Turá Lúka, began to teach other colleagues how to perform folklore dances. 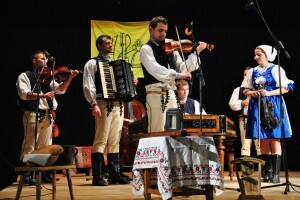 When management of the company found out, they proposed to establish a new folklore ensemble together with already formed music band. 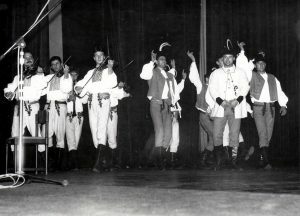 The first joint performance of dancers and musicians took place in the company dining-hall in November 1955. 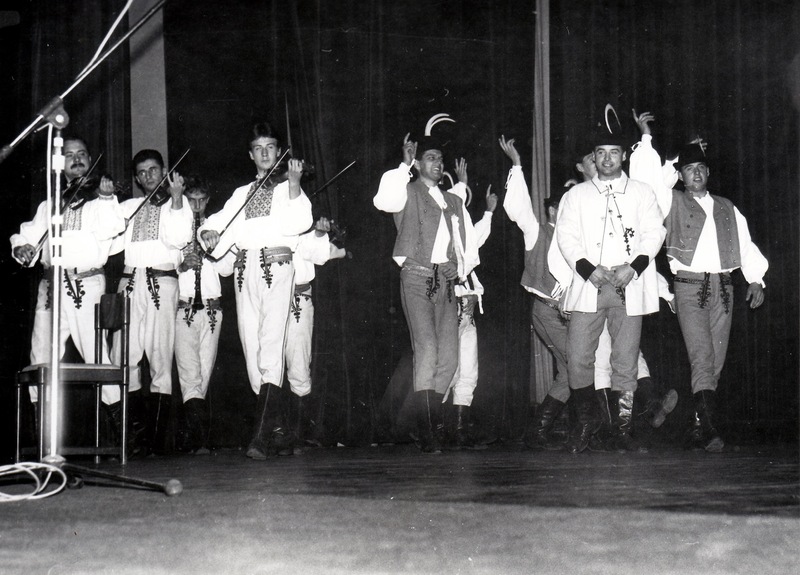 The following year, this ensemble performed publicly for the first time in the town of Stará Turá. After the show, its popularity began to grow. 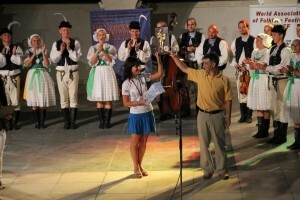 The first public show in its hometown of Myjava was lead by the world-known musician Samko Dudík. 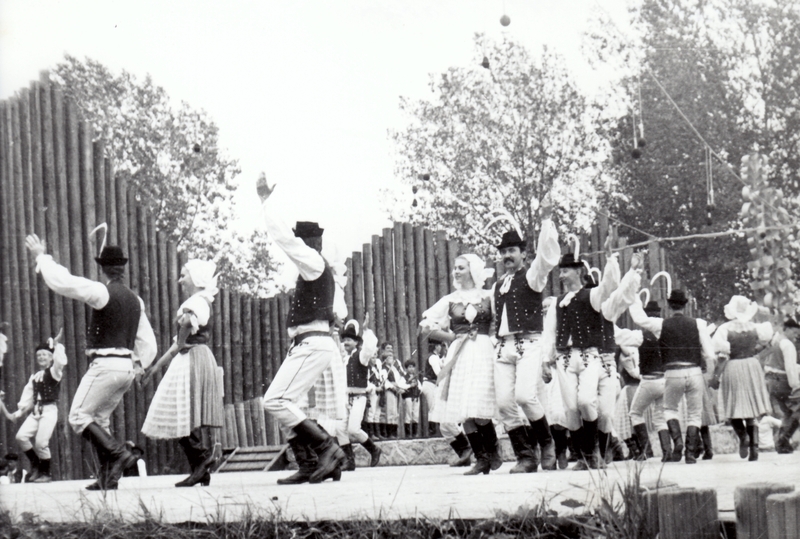 The ensemble’s first big success was winning the 4th place in national folklore creativity contest in 1956. Since then, Kopaničiar has been a guest to many folklore festivals in Slovakia – Východná, Detva or Myjava – and all over the world. 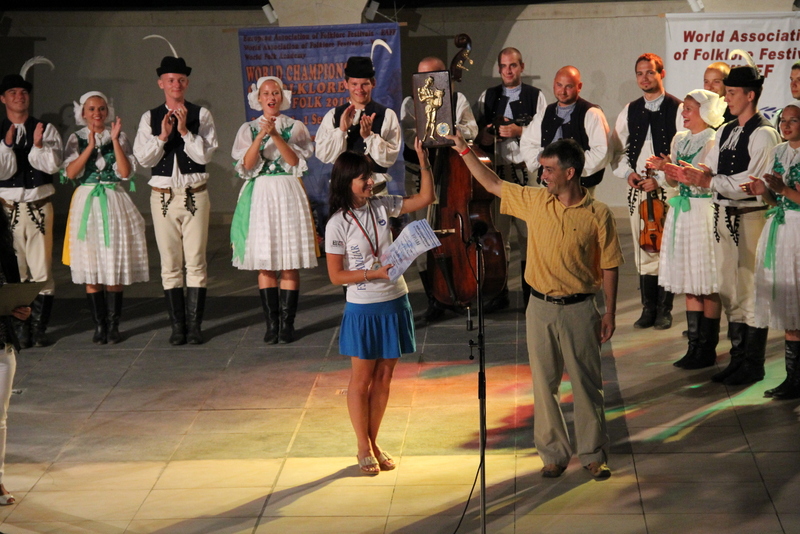 Only three years after the ensemble was established, its members traveled to Hungary to have their first full-length performance. After that, Kopaničiar visited many countries all over the world, from China to Canada. Gold at Vidiečanova Habovka 2013 – a national competition of folklore music bands, singing groups, singers and instrumentalists; and much more. 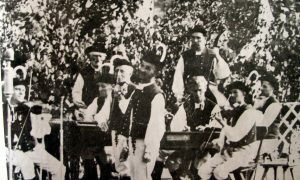 bandleaders Štefan Bunčiak Sr., Stanislav Cibulka and Ján Michalec. 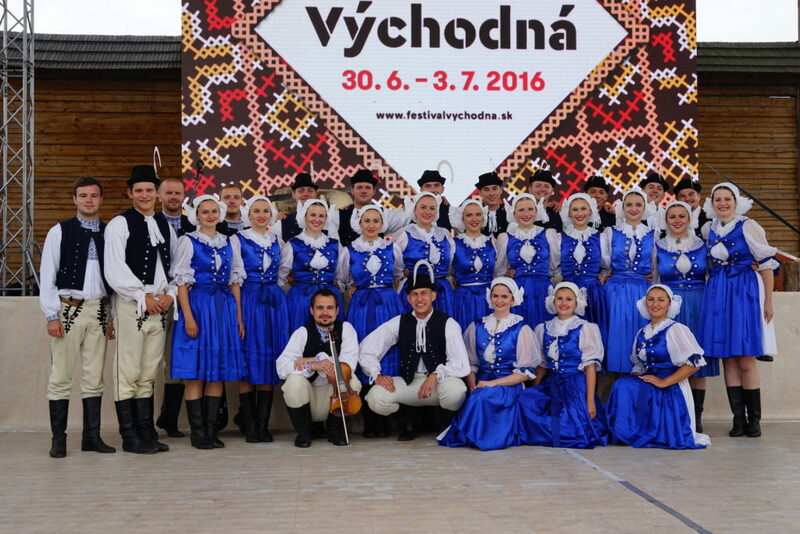 We are raising our future of Myjava folklore in the Children’s Folklore Ensemble Kopaničiarik, and our former members continue with our traditions in the senior Folklore Group Kopa.